Already a major success and with massive games such as Breath of the Wild, Super Mario Odyssey and Super Smash Bros Ultimate released recently, it would seem like the Switch has peaked. However, this is the Nintendo Switch we're talking about, a system that doesn't have to share IP's with a handheld and has a huge fan following. If we look ahead to the coming years, there are some amazing games coming to the Switch in 2019 and 2020 including Super Mario Maker 2, a new Animal Crossing, Metroid Prime 4, and a brand new Pokemon title. 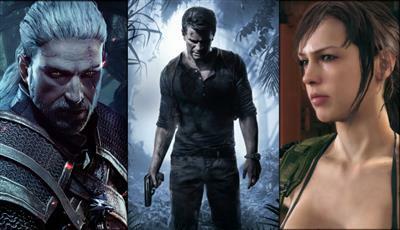 Let's take a look at some of the best below. 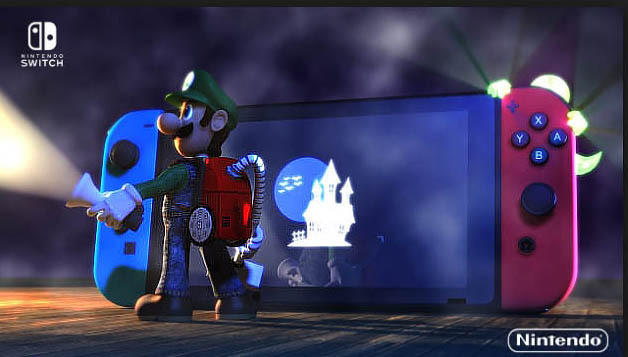 Luigi's Mansion 3 was surprisingly revealed during the September 2018 Direct. This game marks the return of the series from handheld to the console and with it the first title in the series to be fully H and it's about time since over 6 years have passed since Dark Moon came out for the 3DS. With the recent remake of the original on the 3DS, it's the Switch's turn for a real halloween game. Super Mario is missing once again after being abducted from his room, a big bounty has been set on Luigi and Mario, Peach and Toad appear to have been taken prisoner. Will Luigi once again save his brother and this time also save the Princess, Toad and Peach. Release date: 30 August 2019. A brand new IP from Platinum Games. Astral Chain is designed by one of the key game designers for Nier Automata and it shows with over-the-top action, Mech's, variety of gameplay styles and a futuristic setting. Based on the reveal trailer this appears to be a very ambitious title where you as a male or female protagonist in the ranks of the special police task force, fight for the preservation of the multicultural arc from alien invaders. Along your side is your trusty legion, a special weapon and battle partner, partner that will aid you in battle or do them for you. Battle strategies are key as you can either fight the same opponent, target different enemies, or as previously mentioned send your region to battle on its own but with material support from you. Best of all is that Astral Chain is a Nintendo Switch exclusive that will release on August 30th. We're really excited to see the series get the proper attention it deserves after Bayonetta 1 and 2 launched on the Switch to universal acclaim, and much better sales than it did back in 2014 for the Wii . This exclusive hack and slash Switch title is just another game from Platinum Games that the Switch needs. With the return of the hottest game in town, Bayonetta is bound to be the best selling entry yet. We can't wait to hear more about this title at E3 and eventually get our hands on the masterpiece, most likely 2020. Shooters are a rare breed on the Nintendo Switch but at least by the end of 2019 three of them will be released: Wolfenstein The New Colossus, Doom, and Doom Eternal. Doom used to be a franchise on life support since Doom 3, then 2016 came along and gave the series the long deserved reboot which was later brought to the Switch a year later. The game was the perfect successor to the Doom franchise, how on earth could they top this? Well From Software answered that question at Quakecon when they showed off 25 minutes of glorious gameplay that makes the last game look like child's play. Levels are more vertical, there are twice as many demons that look like their original models and the super shotgun has a freaking grappling hook! Later that day they announce that the game would also be coming to the Switch, with the other platforms, thanks to Panic Buttons who also worked on the Switch ports of the first game and Wolfenstein 2. If this game will be as good as these then we are in for a real treat, personally I love them so much that I'm going to buy a Doom Eternal on both the PC and the Switch, slaying demons at home and the then some on the go! It's not everyday that a game that's 26 years old can be remade from the ground up, but since we live in the golden age of game remakes this shouldn't come as much of a surprise. 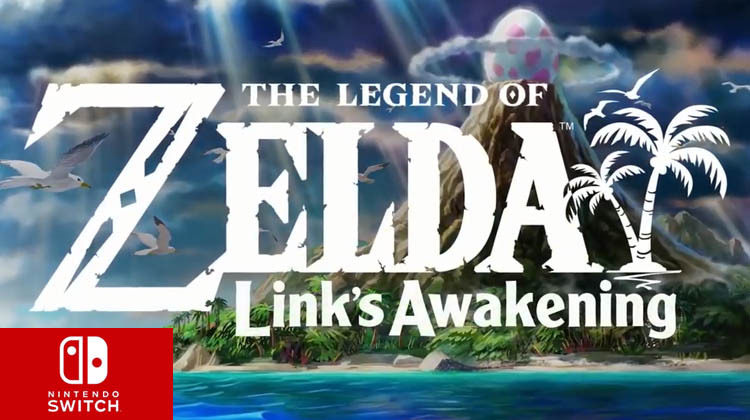 Most would agree that Links Awakening is a title that definitely deserves an HD upgrade, and is another testament to Nintendo's intention to keep the adventures of our hero alive for the foreseeable future. Even so, Link's Awakening is special for a number of reasons. Without going too deep into the games story, after being hit by a lightning storm Link is washed ashore the island of Koholint and sets out to find what mysteries the island hides. One thing that is certain is that the older animated cutscenes will be changed dramatically with an HD remake and we can't wait to see them firsthand. Release date: 26 July 2019. Fire Emblem Three Houses is another example of Nintendo's excellent transition of an IP from handheld to console in crispy HD. Fire Emblem Three Houses will be the first Fire Emblem game on home consoles since 2007 Radiant Dawn. Being the first mainline Fire Emblem game for Switch means high expectations and even higher ambitions, which resulted in a slight delay of the game from a spring to a July 26th summer release. For the first time ever, anime style cutscenes will be depicted throughout the game including in the key monastery and officers academy, and for the first time on the battlefield in full HD. Things have been very turbulent so far in 2019 for Metroid Prime 4, which actually follows a similar pattern of the last 10 years where Metroid fans have been beaten, bruised, insulted and had their dreams crushed by the likes of the other "M" and Federation Force. The original build of Metroid Prime 4 was scrapped and in January 2019 development restarted, but this time with Retro Studios in command and with Kensuke Tanabe back in the producer seat. To be fair this is where the Prime series belongs as Retro Studios, unlike a number of other Studios, has never failed Metroid or Nintendo since Nintendo got a majority stake in the Texas based development studio. Seeing that this game will be set after 2017's Metroid Prime 3 Corruption we can infer a few things and that this is the game that will include Samus's rival Sylux and will be another first-person adventure. As for the next Zelda we know that it will build on the foundation set by Breath of the Wild and will be another, perhaps even more ambitious, open world game that probably introduces a brand new location. The game has already been in development for well over a year, confirmed following the announcement shortly after Breath of the Wild won game of the year at the 2017 game awards. The exact reveal and launch for the next Zelda game is likely to occur in 2020 and 2021 respectively. While we know practically nothing about this game a new Animal Crossing is always something to be excited about and that's why it's number 3 on this list. It has been a whopping five and a half years since the last Animal Crossing game (New Leaf) and an even more whopping nine and a half since the last Animal Crossing game on a home console. The best part is that the Nintendo switch is both a handheld and home console. This is perfect for Animal Crossing! Now we still have a few questions: how will this game work? What new features will be added? Will we be the mayor once again? These will be answered in due time but for right now we can rest easy knowing that we're going to play a new Animal Crossing game in 2019. The 30th anniversary of Super Mario Bros in 2015 was celebrated by Nintendo with the release of the potentially endless Super Mario Maker, which for the first time will legally offer you the tools to design, play and publisher your own Mario stages, but most importantly let you play other creators stages online. Close to 4 years has passed and in June 2019 Super Mario Maker 2 will release on the Switch. This is a true sequel with a whole new and improved interface, slopes, moving platforms and stages, more enemies, way more options for the existing Super Mario Bros, Super Mario Bros 3, Super Mario World and new Super Mario Bros templates. Finally, Luigi will also be playable. We are talking about creating stages with the notorious son from Super Mario Bros 3, winter themed levels from New Super Mario Bros, underwater sections from Super Mario World and swimming on the back of Yoshi, moving stages even for the regular NES Super Mario Bros template and Cat Mario climbing vertical walls in the Super Mario 3D World template while avoiding Bullet Bills. Simply put, this is going to be endless! If we know the Mario Maker community right then be prepared for some of the most evil but at the same time genius Mario stages you have ever seen - if you have Nintendo switch online of course! Nothing besides Mario and Zelda sells as well as Pokemon but the good name of the franchise has had a weakness - being tied to the underpowered handhelds which could never fully envision the sense of awe and wonder that the world of Pokémon has to offer. Pokémon Go fulfilled on some of these promises but the expectations for Pokémon on the Switch is unreal. After well over 23 years the mainline core Pokémon RPG series will take its giant leap from handheld consoles to HD. Pokemon Sword and Pokemon Shield are the official names of the pair of new Pokemon titles coming to the Switch in late 2019. You can't get away from it, the Pokemon core RPG and with it the 8th generation of Pokemon for Nintendo Switch is the most anticipated Switch title. It will finally unleash the potential the franchise has to offer and deliver a Next Generation Pokémon experience, one that might redefine parts of the gameplay, offer more freedom, and a bigger world to explore in HD on the big screen.